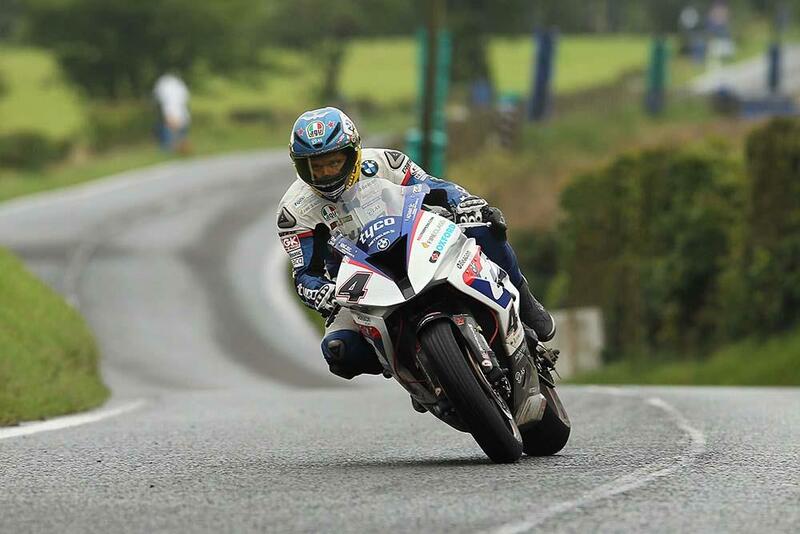 Tyco BMW rider Guy Martin has topped the opening day of practice for the 2015 Ulster Grand Prix – but had to battle the conditions before mist and rain brought a premature end to the day. Conor Cummins was the leader for most of the superbike session, but a 116.123mph lap from Martin towards the end – some 18mph off the lap records thanks to the conditions – have the Lincolnshire rider the unofficial top spot, after the session was declared untimed. William Dunlop was third behind Cummins on the second of the Tyco BMWs, while Russ Mountford was a surprise leader of the second row of the grid, ahead of Ian Hutchinson and Keith Amor. 2014 winner Bruce Anstey was back in eleventh, while Michael Dunlop was fourteenth as he made changes to the Buildbase BMW. In the combined session for the National and Challenge support races, it was British Supersport front-runner Glenn Irwin who topped the time sheets on the Gearlink Kawasaki, ahead of Connor Behan and Timothy Elwood, while veteran racer Paul Owen was top of the 250GP class, while Christian Elkin was fastest of the combined Moto3 and 125GP machines. The day was brought to a premature halt by mist causing low visibility on the higher elevation sections of the track, and will mean a rescheduled running order for tomorrow after the supertwin, supersport and superstock machines lost their practice.